In case you haven't heard, AndroidPIT has launched a new AndroidPIT deals page specifically to help you get the best deals on the hottest gadgets and gear. Alongside these fantastic bargains we are also offering you the chance to win an amazing new smartwatch. Based on the great response to the Choose Your Android Phone Giveaway which we ran last week (you still have two days to enter that one so go do it now! 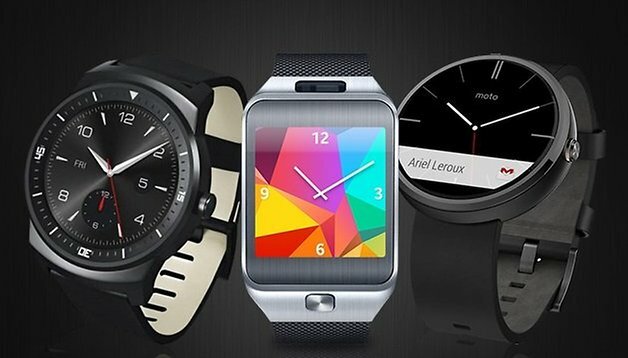 ), we've decided to do again, but this time with smartwatches. For your chance to win, all you need to do is visit this page and submit your email address. That's all there is to it. The closing date for the competition is 11:59pm (PST) on 2/17/15 so act fast, and be sure to register with a valid email address so we can contact you if you win. Let us know in the comments below what other deals you'd like to see grace the AndroidPIT store. I had several similar and sever obstacles ..also the phones didn't manage to come even close to help. Because of the 21ct century F***d up batteries ..but with time i searched for a new or different chargers because with my social state at the moment and being out 20/7 I would say I need it! !..Heavely(for real). Even the SJ guys and mojuicepowerbank.com/ said it.